To purchase Tilly Mint Silver items please visit Tilly's long established and well stocked e-commerce shop on Etsy. Esty UK forms part of the huge global Etsy market place founded in 2005 where crafts people can showcase and sell their items, and where buyers can shop with confidence from talented makers around the world. 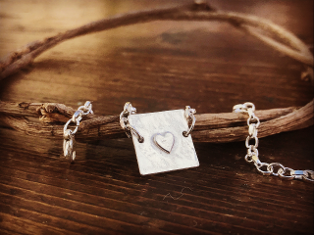 Since joining Etsy as a sales platform in 2013 Tilly Mint Silver items have found homes in all corners of the globe earning Tilly Mint Silver five star status for her products and her commitment to deliver. Shopping on Etsy is easy and most forms of payment are accepted.